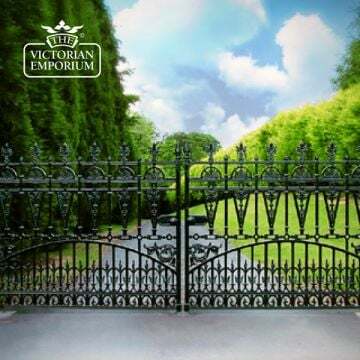 We are proud to sell a unique collection of 19th century inspired cast iron railings, Victorian style driveway gates and garden gates. Our driveway gates come in a variety of sizes and designs and arrive primed for top coating on site. We can now top coat your gates for you before dispatch and install them including automation if required, for an additional cost. 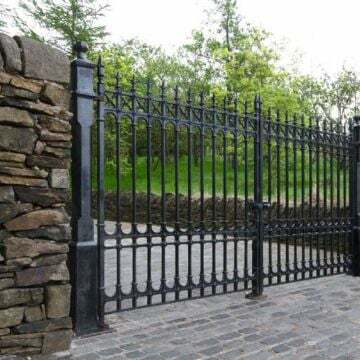 If you would like your gates painted or installed, please request a quotation. 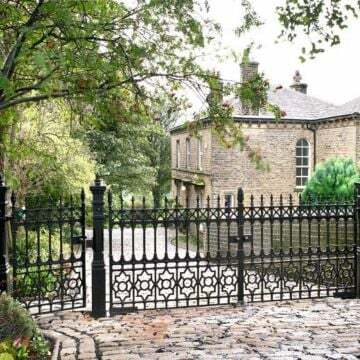 We can also get bespoke cast iron gates made to customer requirements - please contact us for more information. Using traditional foundry techniques, the patterns faithfully replicate those found in an original Victorian cast iron gate and railing catalogue of 1897. 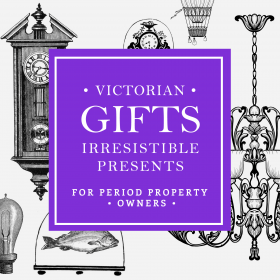 Created from these authentic designs in cast iron, our Heritage Cast Iron Collection is perfect for the restoration of your period property. Crafted in solid cast iron using time-honoured techniques, the range fully integrates with modern requirements such as intercom systems. All railings, gates and posts are supplied primed and undercoated, ready for application of the final coat after installation. 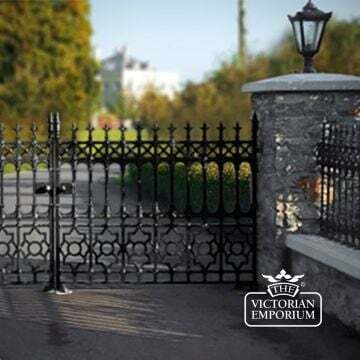 The Driveway Gates will make an impressive entrance to any driveway.